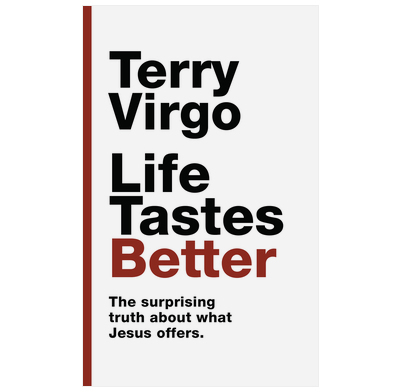 Terry Virgo makes a familiar story about a wedding come alive – and adds a challenge that will transform your life! So many people have a view of Jesus — if they have any view of him at all — that he will somehow take the flavor out of life if you get too close to him. Terry Virgo shows how wrong a view that is. Jesus came to give life, the fuller, richer, tastier life we all sense we need.